We had pheasant for dinner last night. Yes, pheasant! On the last Sunday in April, I roasted it under strips of streaky bacon and served it with Marsala gravy, apple sauce, Maris Piper potatoes Dauphinoise, sauteéd Savoy cabbage and mushy peas. Outside, the wind howled, hailstones beat down on the roof and “all mankind that haunted nigh had sought their household fires“. On the meteorological football pitch that we call Ireland, arctic airflow has driven its game way south of our southern-most meridian. Tropical weather systems, which normally begin to prevail at this time of year, have been pushed back into their corner. Springtime is on hold for the moment and while our pastures, tillage and meadows benefit from the rain, we could do without the low temperatures. It seemed timely to have some game, and to honour it with a good bottle of red wine. Two pheasants were lurking in the freezer. Shot, hung and frozen before Christmas, they would normally have been used before Easter, but an unseasonally warm Spring took them off my radar. They were delicious and we did them justice. Afterwards, the Plongeur-du-jour (washer-upper) picked up a carcass and held it over the bin. -Are these for the bin? -No, they’re for the stockpot. It only took two minutes to put them in a large pot, cover with cold water, put the lid on and place in the bottom oven of the AGA overnight. Later today, I’ll strain the stock and make soup for another wintry day. Some use freezers, some don’t. Some don’t even ‘get’ freezers. 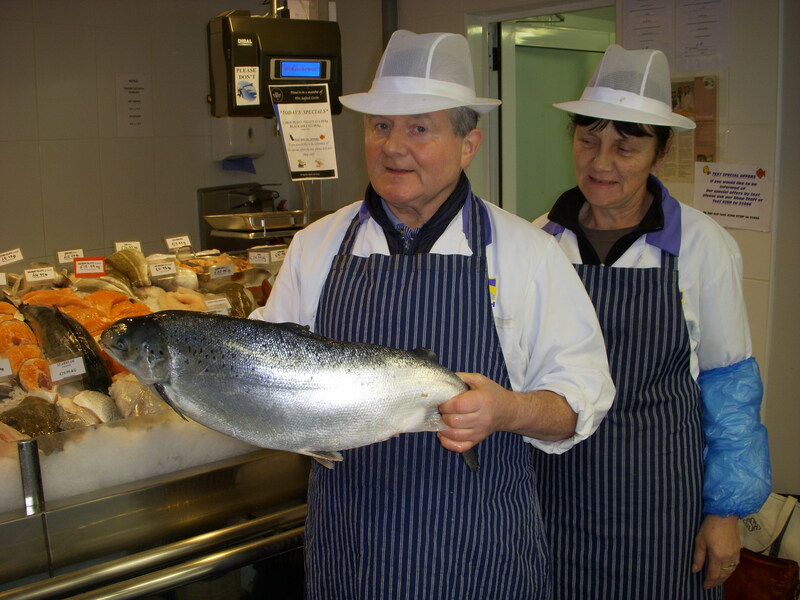 Ours is a trusty lieutenant in the kitchen, a key player in the chain of sourcing good food and storing it properly. Economy of scale is served by always making double and freeezing half…especially if the dish creates a big washup, for example fish pie, shepherd’s pie, lamb tagine. It’s a Phillips upright 10 cubic foot freezer, bought in 1983 and it has never given a minute’s trouble. We treat it well. Twice a year it’s defrosted and cleaned. Kids have never been allowed to use it for storage of so-called ‘treats’- so many freezers fail because the door is repeatedly left open and the motor labours itself to death. Nothing goes into it until it has cooled to room temperature. b) they’re an essential part of our First Aid kit. As soon as a bruise or cut happens, grab a bag of frozen peas, bang it on a worktop to break up the clumps, wrap in a clean teatowel and press against the injury. If you move quickly enough, you prevent swelling and reduce blood loss while thinking about what needs to be done next. 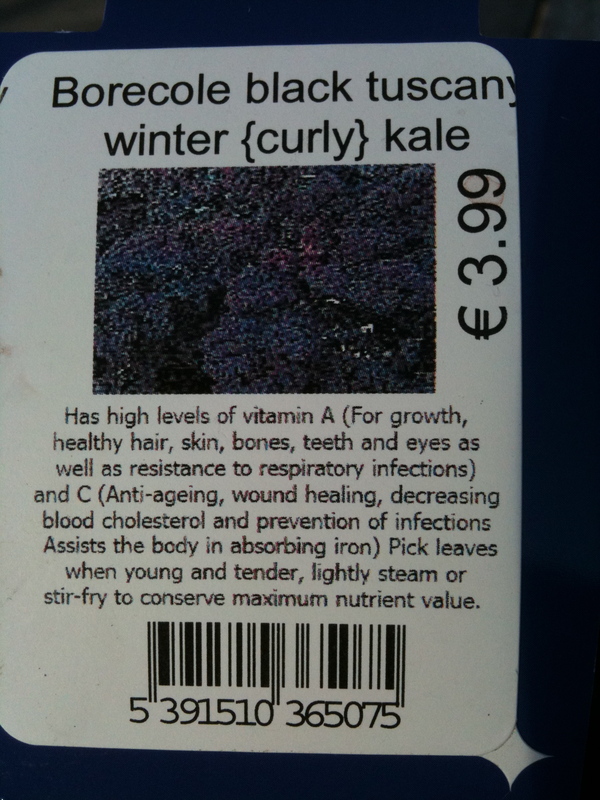 A great convenience vegetable. Spinach quiche, creamy spinach sauce for pasta, Spanakopita can be made very quickly. I always use the food processor to make pastry. I use what’s needed then weigh, wrap and label the rest for the various tins in regular use in the kitchen. I don’t make these at home. -good bread, once stale, makes quality breadcrumbs. Plain scones freeze well and thaw rapidly. Make double quantities and freeze half. Shortbread, and other doughs without a raising agent freeze well for a few months. Roll into a log, cover with clingfilm, and cut into discs when thawed. During the picnic season, I always have one of these ready to go in case the weather turns warm unexpectedly. minced beef, stewing beef, stewing lamb. I only store small quantities of these. One free-range, organic chicken. 1 Kg of chicken leg and thigh meat. Small foil packs of 100g and 200g chicken meat for use in salads and school lunches. A chicken is simmered with onion, celery, carrot and bouquet garni, and allowed to cool in its broth. For an oriental broth, throw in some lemongrass, ginger root and coriander roots. ( I know that the food-safety police advice cooling it outside its broth, but we’ve never had any food-poisoning problems). Remove all meat from the carcass and use as you wish. It’s absolutely succulent. NO chicken breasts. Knowing how chicken are intensively reared, knowing how much ‘growth promoters’ and antibiotics they’re fed, I’m scared of feeding commercial chicken breasts to my family. If they need drugs, they can go to a doctor and get them on prescription, but they’re not being served them (in disguise) on a dinner plate at home. 2 litre plastic milk containers with home-made chicken stock, fish stock, game stock…whatever comes my way in terms of bones etc. To defrost quickly, throw the 2L container into a sink of warm water. for more speed, cut the plastic carton with a kitchen scissors and warm the block of stock in a casserole dish with its lid on, over a low heat. Once this is done, risotto is never more than 30 minutes away. These are frozen in single, double and larger portions. Bolognese sauce is a favourite. Super-valu always have foil containers in a range of sizes. I buy a seven-pack in Sheridan’sand freeze in Ziploc bags in twos or threes. 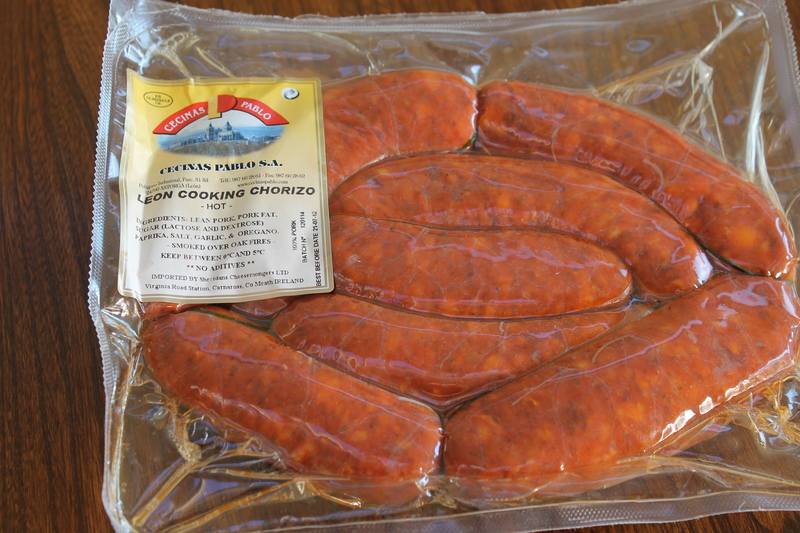 That way, I always have a top-quality chorizo sausage nearby, and don’t have to go shopping for it. In her TV series ‘Simply Delicious’, Darina Allen showed us all how to make an ice-bowl with flowers and herbs trapped in the ice, for serving ice-cream/ sorbet and summer fruit. I used to make this quite often and it was always a show-stopper- looked stunning on a buffet table and kept the contents frozen for longer. Writing this reminds me to make it again this summer…whenever we get one. Mind you, it takes a whole drawer in the freezer! if we’re expecting company or at festive times of year. There’s lots more, such as soft fruit in July and August,and holy basil for Thai cooking from the Asia Market, chopped and frozen in water in ice cube trays. The list is endless and everyone has a different way of using a freezer. Whatever your preference, it’s a huge economy in terms of time, effort, money and quality. Today’s game stock won’t make it to the freezer. 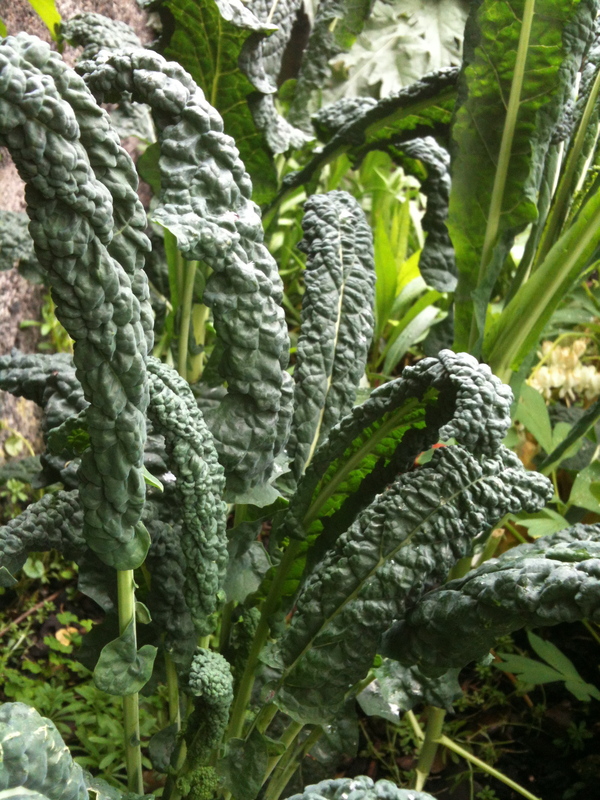 Instead, it will be used to make Ribollita, as there’s cavolo nero in the garden. After such a meat-feast last evening, a vegetarian supper will be perfect. Do follow the link and check out his recipe- it’s really satisfying food on a cold day. Puts body and soul back together. and Jamie’s suggestion of copious quantities of Chianti will have to hold. On Monday evening, I’ve a yoga class instead! Viewing the world, the human condition, our history, evolution and health through the prism of food. 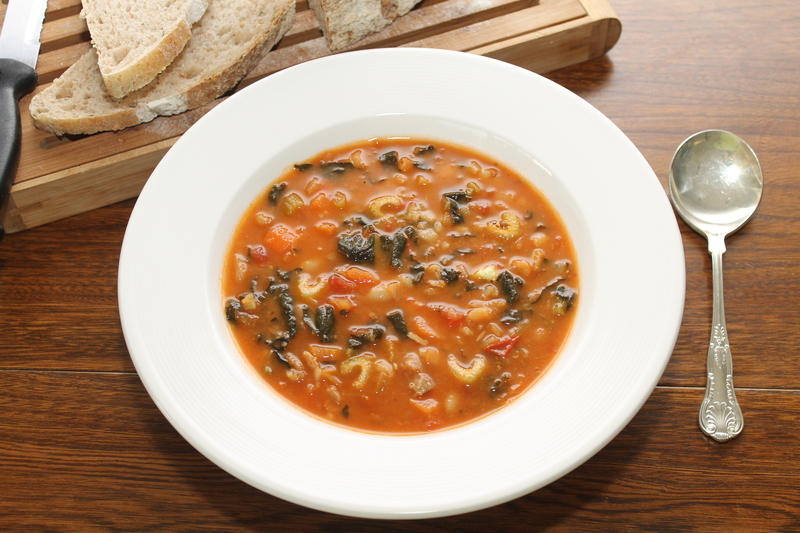 This entry was posted in Home Economy, Irish food and tagged Ballymaloe Ice bowl with flowers, cavolo nero, Freezing food, haysparks, Hick's sausages, Irish food, Jamie Oliver, Kish Fish, Mum of Invention, Pheasant, Ribollita, Sheridan's Cheesemongers. Bookmark the permalink. I am always transported to your kitchen when I read you words. I sit, warm beside your stove, waiting for you to feed me. And you always do nourish me to the point of starvation. I hope when the blog awards roll around that you win the biggest prize. Thanks Móna, now that I’ve written it, I’d better go and make it!! !